It is really difficult to continue and move forward, but I want people to know it is possible, there are other people, and you’re not alone. Check out a recent Rackham Graduate School article written about the project HERE. Looking back, I don’t even recognize the person I was when I first started counseling. I feel like now I am a stronger person. If you are growing up in a community or in an environment where maybe mental health issues aren’t talked about, remember that you are also a part of that community. Move forward knowing that you can make a change for yourself and for someone else. I know it’s discouraging when something doesn’t initially work, but finding what works can really really improve your life and make things a whole lot easier for you. So it’s important to keep going. It’s okay if you have depression, and having depression does not mean you are weak. Remember that you are strong. Once I kind of accepted the fact that I wasn’t going to be able to handle this on my own, it was actually really empowering to talk to other people and find out that I wasn’t the only person experiencing these things. CAPS really helped me with the initial panic attacks because part of panicking is a lot of times worrying that you’re going to… once you realize you can deal with it…. it makes it a lot less likely that it’s going to happen to begin with. The only reason I was facing so much stress was because of the high loads of expectations I had on myself. I could always say that this is too much and I could take a step down and as soon as I realized that I went over to my team and had an inspirational talk with them. Something i’ve learned throughout several episodes of depression is that it’s really important to find things in you life that are continuous, that give you a sense of who you were before that last episode or even before you were depressed. Talk to someone. People are here to help. They really are. You don't have to struggle alone. I have struggled alone, millions of people struggle alone every day and there is just no need to anymore because things are changing and there is a new future for people like you and me. While I've struggled, these struggles do not define who I am. I am human. I have purpose. I matter in this world. I am relevant and my story matters. And so I slowly had to focus on myself, and I think that was really healing in a way that I never thought was possible. I realize that I am not a victim of OCD, rather it is a part of how I am wired, something that fundamentally makes me who I am. I now view the world from a different perspective. There was a lot of solidarity in that, and knowing that this whole time I felt alone, I wasn’t really alone. So with anxiety or anything similar I think it is important to realize there are good weeks and bad weeks. Don’t be afraid to let someone reach out to you and help you. No one is immune from struggles, but if you can figure out a positive ways to deal with it…that’s how you can help yourself. There is so much resilience in everybody, regardless of your situation, or regardless of your diagnosis. Mental illness does not go away passively, it took a lot of hard work and a lot of talking to others to get through what I was struggling with. School isn't going anywhere, and taking time off doesn't make you less of a student or not part of Michigan's community. Every day I start to feel at little stronger, a little more healed, and a little more resilient. One of the first barriers to starting this conversation is a lack of awareness with regard to mental health. We found that the powerful experiences shared by those who live with and around mental illness, can inspire connection, understanding, and empowerment for the individuals who listen and share these stories. We hope to inspire conversation among our peers and emphasize the power that can come from expressing vulnerability. 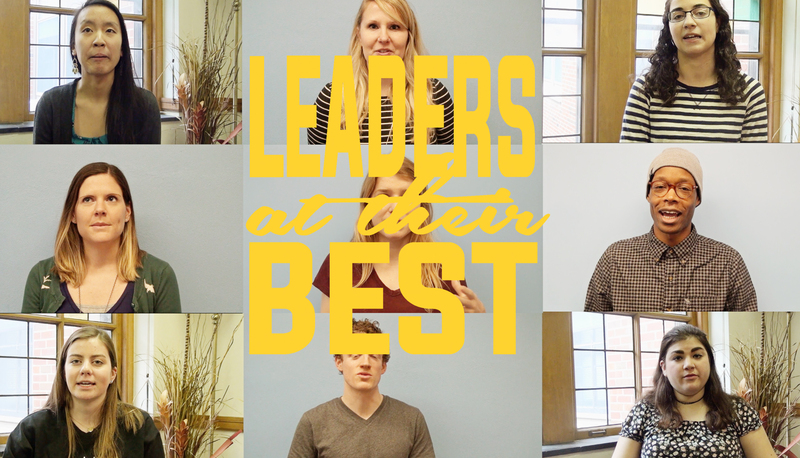 Our video series aims to motivate Michigan students and staff to take an active role in their mental wellbeing and to provide support for others who are struggling. It is our hope to remove the association of mental illness with weakness, and to replace that story with a new story -- that we can have mental and emotional health challenges and be strong, be courageous, and be UM Students.  We want to inspire a more compassionate and healthy community at the University of Michigan.